AFTER RETURNING FROM THEIR TRAVELS, FOLKS LOVE TO FIND HERE WHAT THEY DISCOVERED THERE. PERHAPS THEY CHANCED UPON THE IDEA OF TASTING SEVERAL DISHES AT THE SAME TIME IN BARCELONA, OR THEY WERE CHARMED BY SPREADS OF MANY SMALL DISHES IN CRETE. 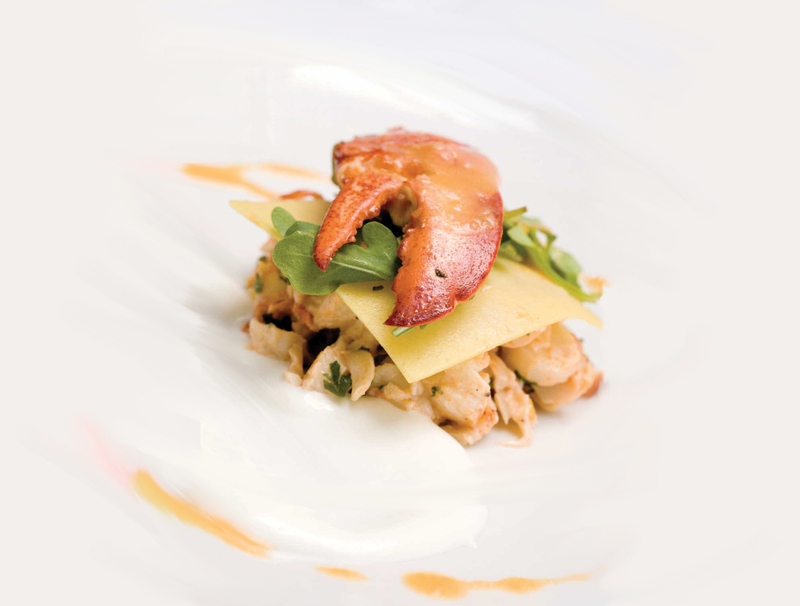 SPAIN AND GREECE SHARE THE CUSTOM OF SERVING A FULL MEAL OF HORS-D’ŒUVRES. FOR SOME IT’S TAPAS, FOR OTHERS IT’S MEZZE. ALL ONBOARD FOR APPETIZERS! Two years ago, Constant Mentzas took over the Symposium Psarotaverna restaurant and renamed it in honour of the former owner, Tasso Saltaris. With brother Nicolas as head chef, their offerings are modern with a Greek influence. There are the must tries (oysters, salt cured cod, tzatziki, fried eggplant, and kefalograviera cheese) and other dishes where the basic ingredients (scallops, shrimps, octopus, fish croquettes) remain the same, but the secondary ingredients can vary. They have a discovery menu (6 or 9 mezzes) and a tasting menu (five courses with 8 mezzes and fish). The simply decorated space, all white and light, can seat 60 guests and Tasso’s terrace is usually the last to close on Rue St-Denis. This is the story of two friends, Victor Afonso (son of Portuguese immigrants) and Sebastien Muniz (of Spanish descent), who made a pact when they were 16 to open a restaurant one day. A small place that opened in 2004 in the up-and-coming neighbourhood of Villeray (“timing and luck” confirms Afonso), Tapeo now seats 90 and the trendy wood, slate, and iron decor by Surface3 Design Office is right in sync with the sound system by Kébecson. On the menu: 30 Spanish tapas dishes (with varying influences) feature seafood and meat. At the long chef’s table, 18 clients can all make delicious discoveries according to the daily menu. The wine list offers Spanish wines only, 70% of which are not available at the SAQ. Located on a quiet street, El Pintxo (pronoun­ced pin-cho) is a charming little restaurant with tables close together and a very Plateau-Mont-Royal decor. Friendly service put us at ease to sample a variety of seafood (calamari, scallops, shrimps, lobster), fish (mainly Norwegian black cod, a non-endangered species), and meat tapas (pork, beef, lamb, duck, venison, and rabbit) prepared by chef Alonso Ortiz who was trained and worked in San Sebastian (after all, pintxo is the Basque version of tapas). A wine cellar in the center of the room includes wines from Spain, half being private imports. The first restaurant to introduce us to tapas some twenty years ago, Casa Tapas is still respected today, even by their competitors. 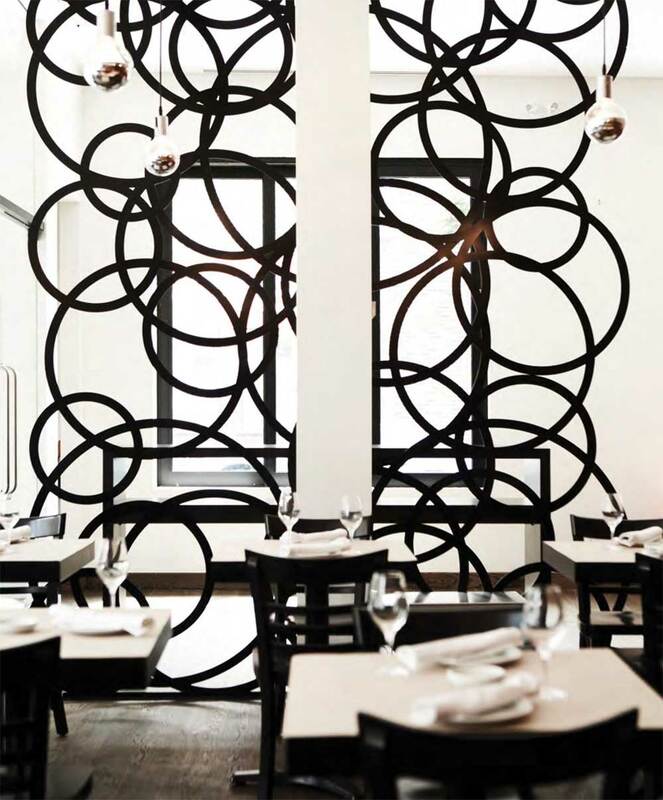 The decor is decidedly Spanish, as becomes Montréal’s first tapas restaurant, and the menu offers thirty different dishes: vegetable, fish, seafood, and meat tapas (including blood sausage and kidney). They also offer a selection of Spanish cheeses depending on recent arrivals. As for wine, their cellar is stocked exclusively with Spanish wines including private imports. Open evenings only, Tuesday through Saturday. The Ouzeri St-Denis has been charming clients for 18 years with their big picture windows, unpre­tentious furnishings, yellow walls, and a spectacular long bar. Manager Vasili Xynos explains that they serve the Mediterranean cuisine that people want; no rice or potatoes served here to weigh the meal down. Dishes are halfway between mezzes and normal portions with no accompaniments. It’s all a question of taste and choice. A group can order several dishes to share from among 15 cold mezzes and 30 hot dishes that feature seafood.